Below you can view all the condos for sale in the Brookhaven At Johns Creek subdivision located in Johns Creek Georgia. 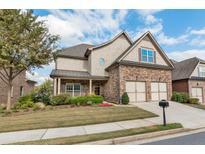 Listings in Brookhaven At Johns Creek are updated daily from data we receive from the Atlanta multiple listing service. To learn more about any of these condos or to receive custom notifications when a new property is listed for sale in Brookhaven At Johns Creek, give us a call at 404-998-4017. Come Enjoy Games, Sports And So Much More With Your Neighbors In The Brookhaven At Johns Creek! MLS#6519083. Keller Williams North Atlanta. Community Amenities: Pool, Club House With Daily Activities, Fitness Center, Tennis, Garden, Walking Trail. MLS#6501905. Harry Norman Realtors. Your Clients Will Love This Resort Like Community! Near Shopping And Restaurants! 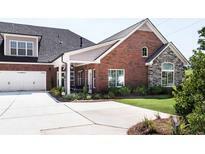 MLS#6112239. Virtual Properties Realty. Biz.